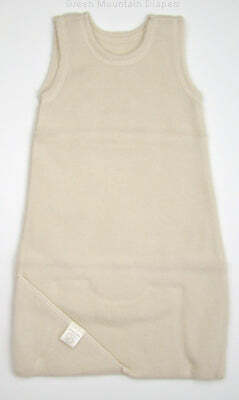 Lanacare Softsleeper Wool Sleep Sack. 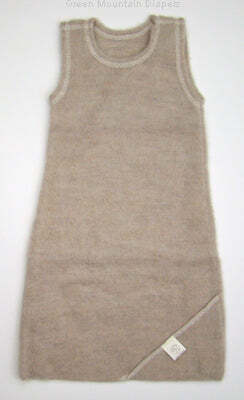 Merino wool luxury for young babies. Made in Lithuania. 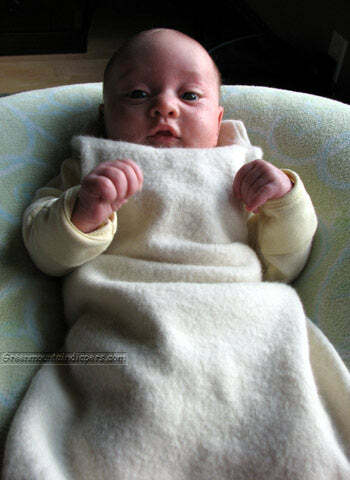 We believe natural fibers such as wool and cotton are best for baby. Opens at the bottom. See pictures. So soft, not slippery or sweaty like the polyester ones are. Lovely! Love, love, love. No zippers, buttons, or elastic to fight with in the night. So soft and snuggley. Our house just runs cold, but this does the job beautifully. It isn't the cutest thing I've put babe in, but when it comes to a sleeping baby - we take function over form. These are very nice. I went with the biggest size. It's very soft and warm and leak proof! I put on a long sleeve shirt and a diaper for cold Texas nights and she would be toasty and the bed would not be wet all night. I have only washed it once for the whole year.